Upon arrival at Ayers Rock Airport, you’ll be transferred to the resort to arrive in the afternoon. In the evening, you’ll dine in a spectacular setting beneath the stars at the award-winning Sounds of Silence dinner. You’ll be served a gourmet buffet of Australian delicacies coupled with fine local wines, before relaxing and enjoying the views as a Star Talker takes you on a tour of the night skies (weather conditions permitting). 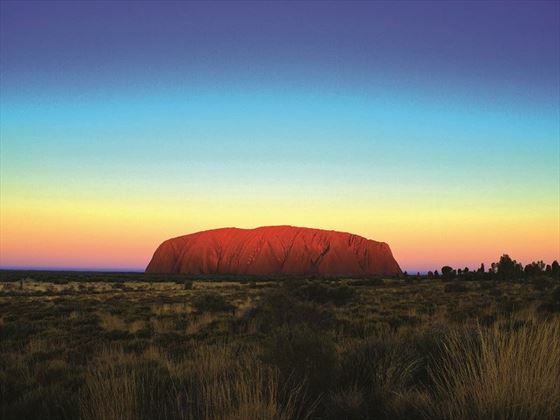 Get up early this morning to watch the first rays of sunlight bathe the Red Centre and Uluru in a glow. 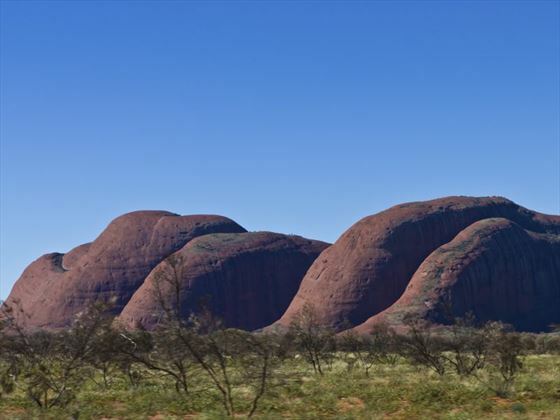 Then travel to Kata Tjuta (The Olgas) to view the mysterious red domed rocks then make your way to Walpa Gorge. 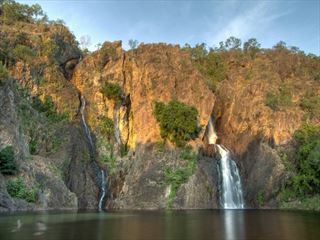 Here you will follow a walking trail through the gorge to reach the natural creek bed between two of the tallest domes. 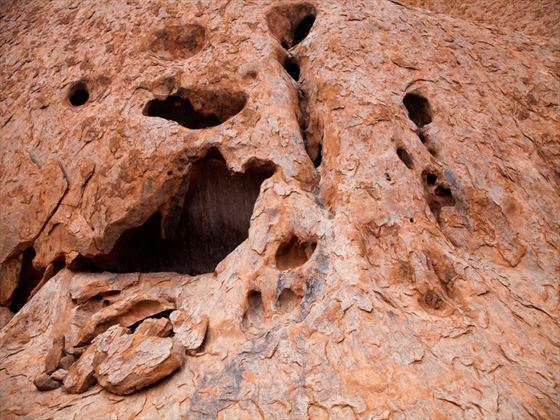 This afternoon, join your guide for a drive around the base of Uluru before travelling to the Mutitjulu Waterhole where you will go for a guided walk to explore caves and view aboriginal rock art whilst learning about the flora and fauna in this area. You’ll also have the opportunity to visit the Uluru-Kata Tjuta Cultural Centre to see locally-produced arts and crafts.At sunset, enjoy nibbles and wine whilst watching the colours change over the Western horizon of Uluru. In the morning, there will be time for an optional experience of artist Bruce Munro's Field of Light - wander the pathways through 50,000 magical spheres of light as the firs trays of sunlight creep across the desert sky. In the afternoon, bid farewell to Uluru as you may your way to the airport for your onward flight. Departs daily throughout the year. This whirlwind three-night independent tour journeys to one of Australia's most naturally beautiful phenomenons - Uluru. 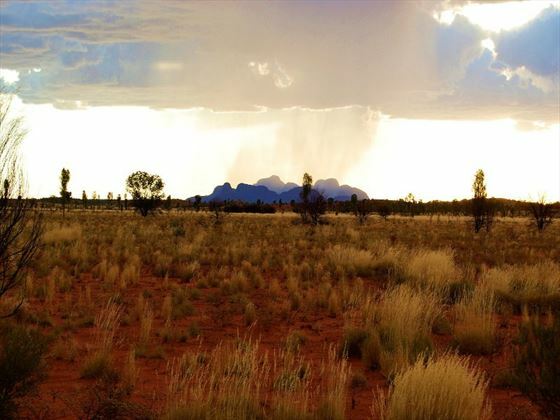 Crossing the fiery Red Centre, this is a brilliant add-on to a once-in-a-lifetime tour. 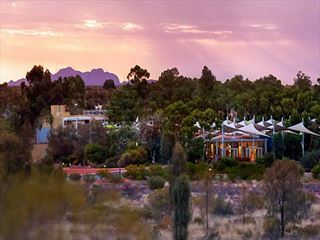 A unique outback experience infused with luxury, Voyages Sails in the Desert hotel is a perfect retreat set in the heart of the Red Centre, with luxury accommodation, indulgent spa treatments and gourmet meals.